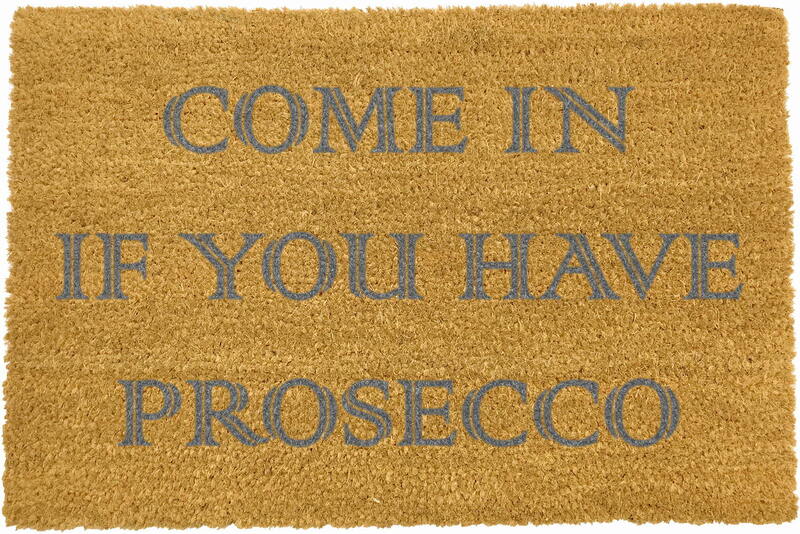 Give you and your guests a grand welcome to your home with the Come In If You Have Prosecco doormat. 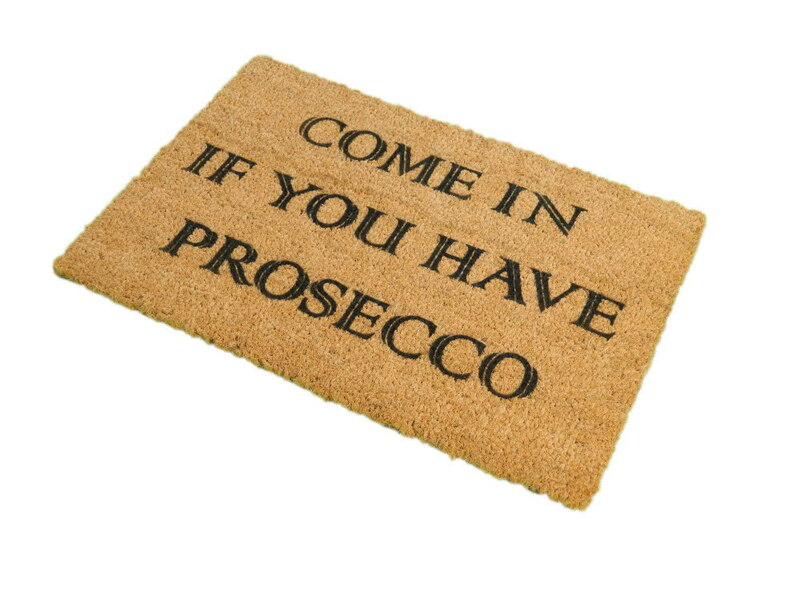 All the doormats are crafted from a high quality tufted coconut fibre which is perfect for those muddy boots! The doormats are professionally dyed using exterior paints made to be durable and stick to the coir, whereas some others on the market are made using food dyes and not made to last. Available in 2 text colours, Black or Grey.